It would be difficult to imagine Marie Antoinette without also imagining her amazing, lofty, elaborate, and gravity-defying hairstyles. Of all the periods in history, Marie Antoinette lived during an age of hairstyles that has yet to be shown up in terms of decadence and exaggeration. 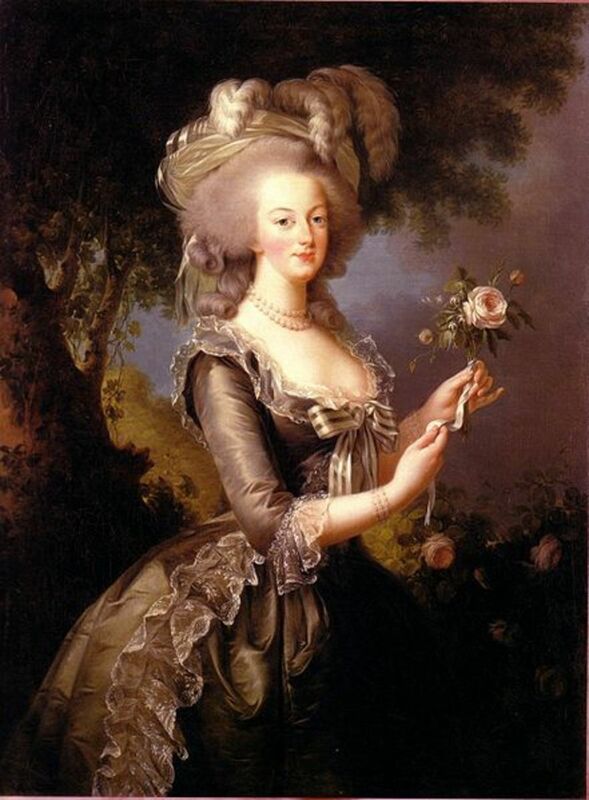 Hair was a huge part of Marie Antoinette's life. 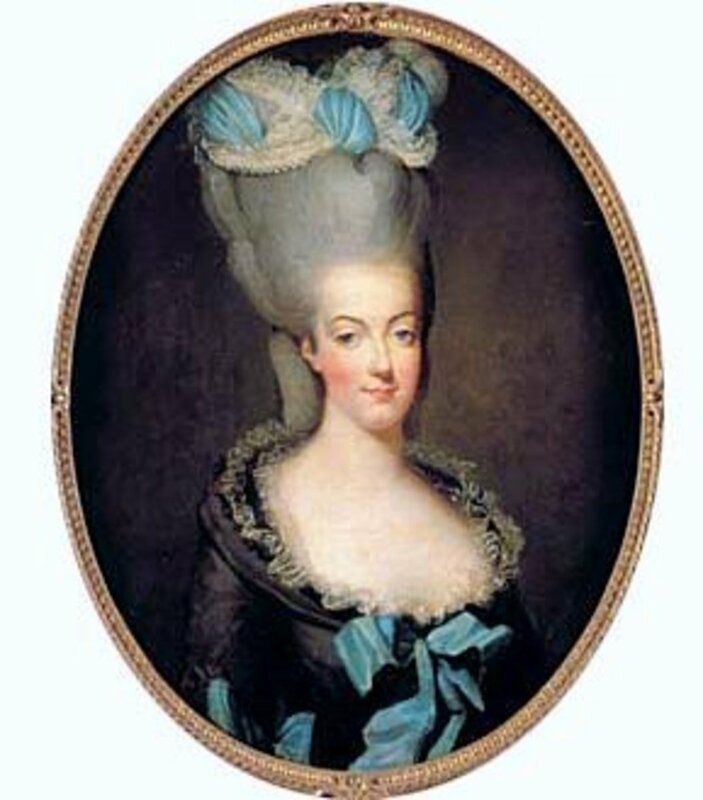 Even in the midst of her downfall during the French Revolution in 1789, Marie Antoinette continued to put much attention to detail into her coiffure. As she prepared for the Mass celebrating the return of the Estates General, the Queen of France quipped to her hairdresser: "Come, Léonard, dress my hair, I must go like an actress, exhibit myself to a public that may hiss me." Clearly this woman understood the theatrical nature of hairstyles and personal presentation- and boy, did she ever put on a show! 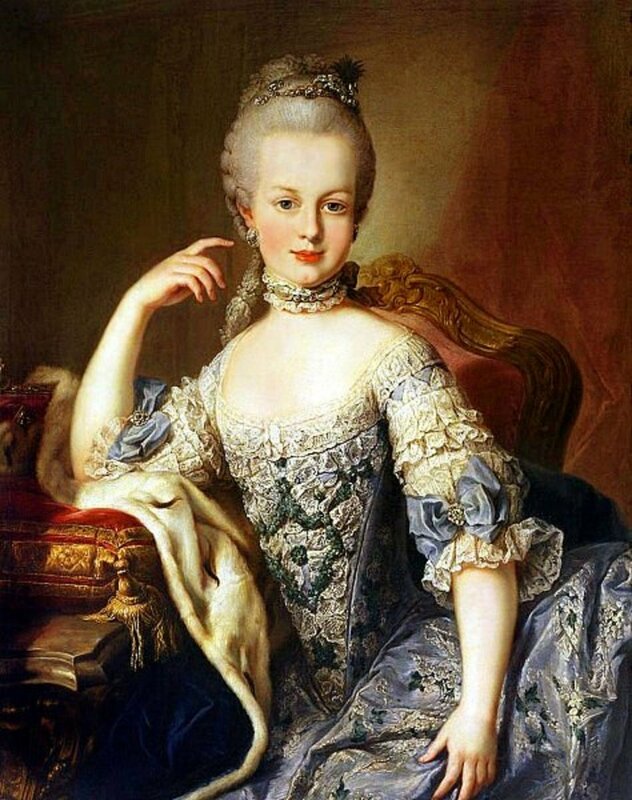 Marie Antoinette lived during the 1700s in Austria and France. At this time, members of royal courts enjoyed makeup, clothing, and hairstyles that took hours and hours to apply, construct, and maintain. 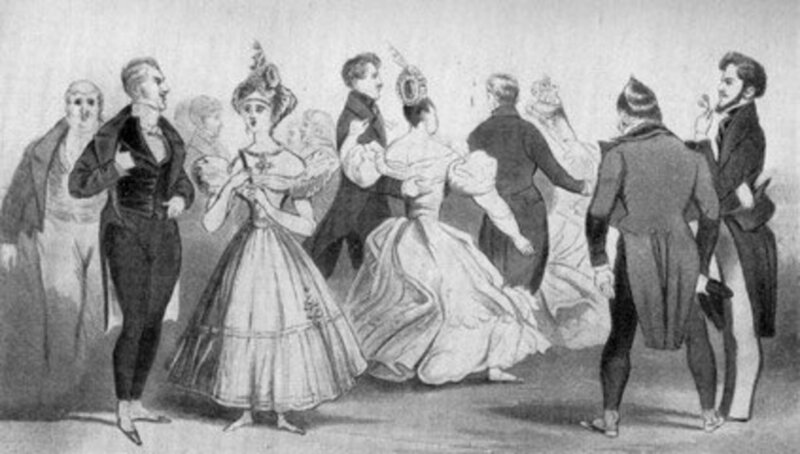 Powdered hairstyles were just one element of formal court dress, which included elaborate hooped dresses with boned bodices and long trains for women complimented by (in France, at least) bright, dark pink rounds of rouge on the cheeks (a status symbol), and swords and silk coats for men. Fashionable women would have to set aside significant portions of their day to have their hair styled, and important hairstylists would be not only booked solid, but supported by a whole team of assistants. By 1770, powdered hair was mandatory in court. Nobody dared to show their faces without it. To have her hair powdered, a woman (or a man) would sit in her dressing room, draped with a large cape. Her hairdresser would then blow powder into her hair, apply a substance called pomatum to the hair to fix it. The large sculptures of hair that were arranged on women's heads would be supported and held together using wire, tow, wool, and pads, and would be decorated with anything from precious jewels and metals to large plumes. These hairstyles even featured detailed figurines ranging form babies and nurses to ships and buildings (which were sort of like the witty t-shirt of eighteenth century French courts- indicating something that was happening to someone, like having a baby, or cashing in on something that was in vogue, such as the American Revolution). This piled-high hairstyle was designed by Léonard Autie (Marie Antoinette's hairstylist- more on him in a bit) and was known as the pouf. It was first displayed by Marie Antoinette at the coronation of her husband, Louis XVI in 1774. That said, Marie Antoinette did not wear the pouf all her life. Let's have a look at her earlier updos! Marie Antoinette was born on November 2nd, 1755. During her childhood, she was known as Her Royal Highness Archduchess Maria Antonia of Austria, and even then, her hair was powdered and elaborately styled. 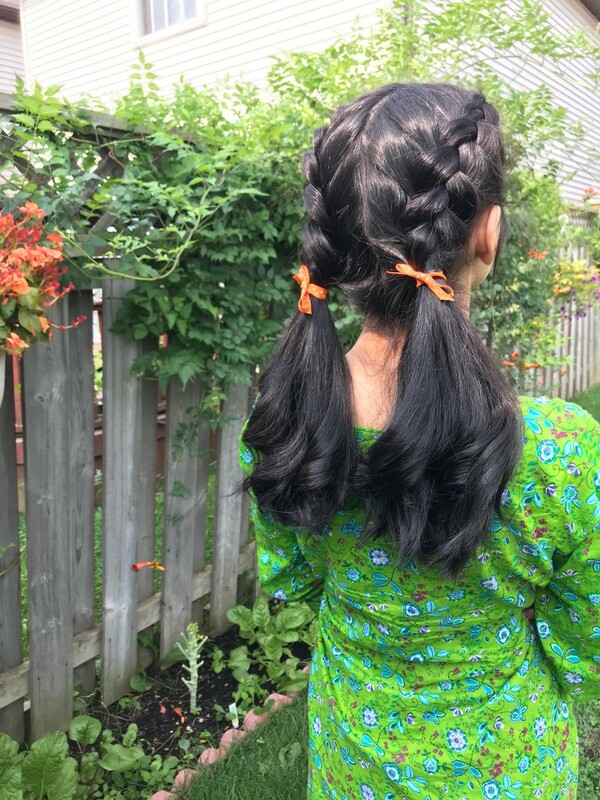 Children as young as toddlers at the time would have their hair powdered and styled, which is not only impressive (considering how unruly they can be), but also somewhat unprecedented in the history of hairstyling. While this someday queen of France shall always be remembered for amazing, formidable hair, her natural hair was actually less than perfect. 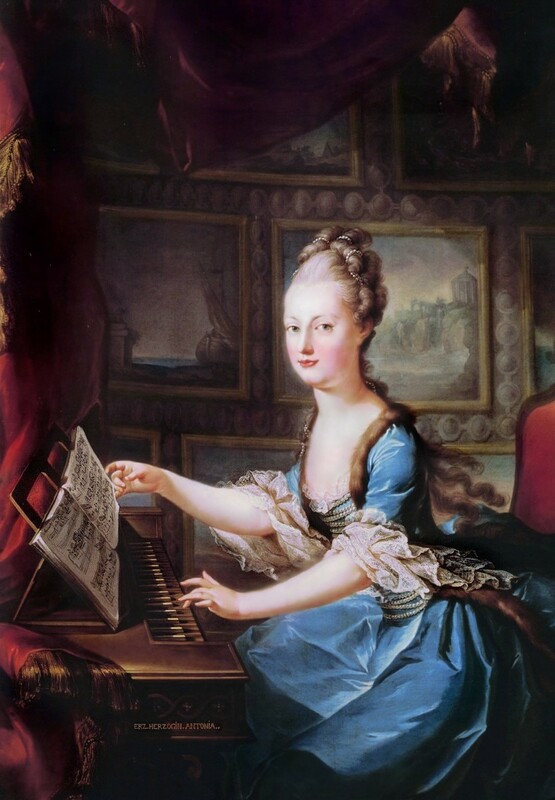 Though prized for her deep blue eyes and pink and white complexion, Maria Antonia had a high forehead, which was unfashionable at the time, and an uneven hairline, which was continually concealed and covered up throughout her lifetime. 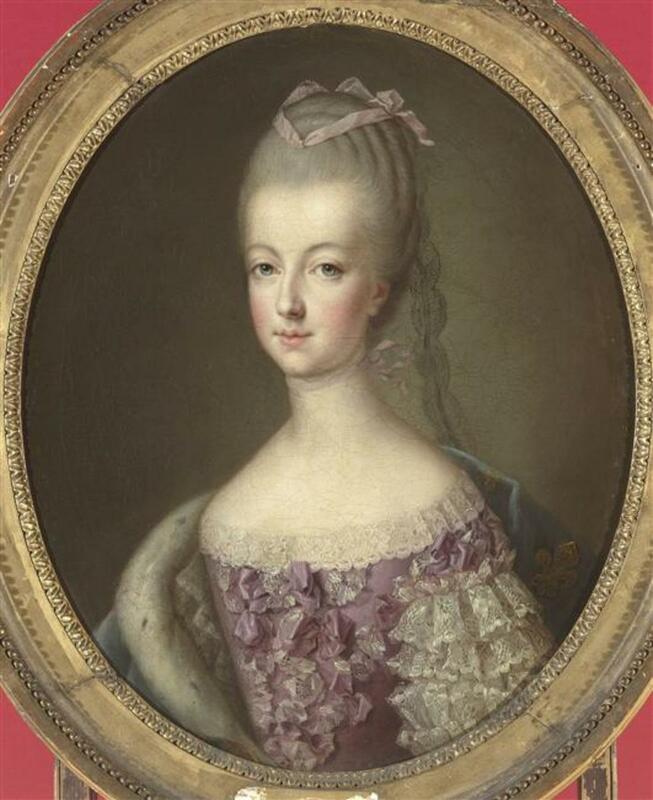 During her younger years, Marie Antoinette's hairstyles had less top volume and more curls, some of which would stream down her back such as is shown in the 1769 portrait by Franz Xaver Wagenschön below. 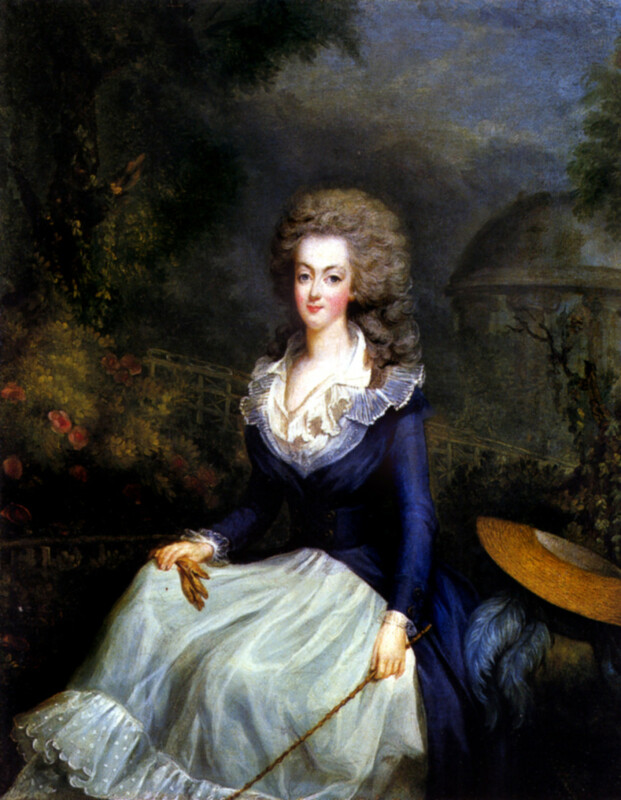 Marie Antoinette became the Dauphine of France in 1770. Upon assuming this position and the transition from one country to another, Marie Antoinette went through a stylistic transformation, shifting from Austrian clothing, possessions, friends, and (of course) hairstyling to those of French origin. 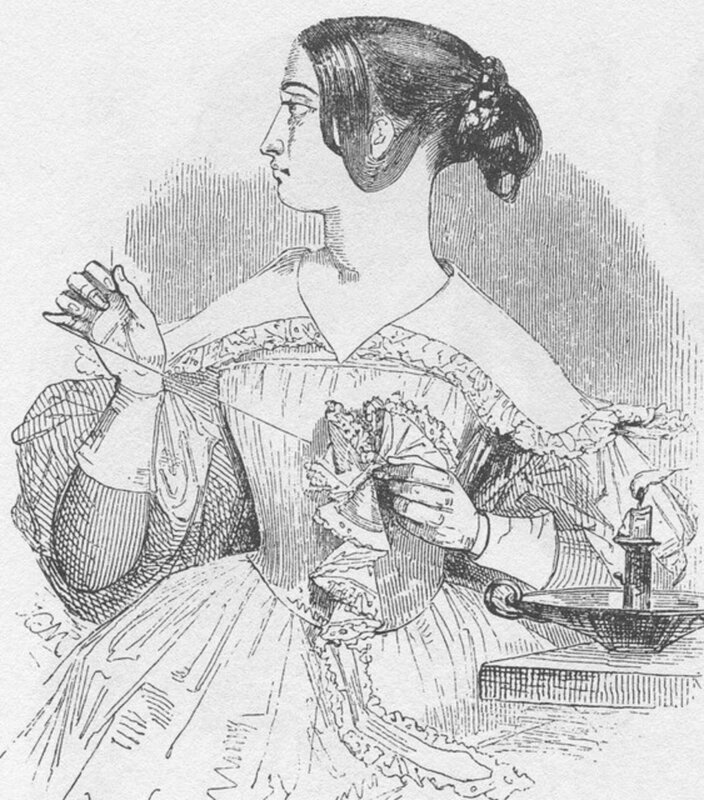 She was given a high-status Parisian hairdresses named Sieur Larsenneur who had the all-important task of dealing with her less-than-perfect hairline. Instead of going for an over-the-top fashion, Sieur Larsenneur gave Marie Antoinette a relatively simple style- abandoning curls for more of a smooth (but volumes) coiffe. This style became so popular that even fashionable women in her home country began to abandon their elaborate curls for her new streamlined style (à la Dauphine). At noon, Marie Antoinette's day would go from being semi-private to being absolutely public. 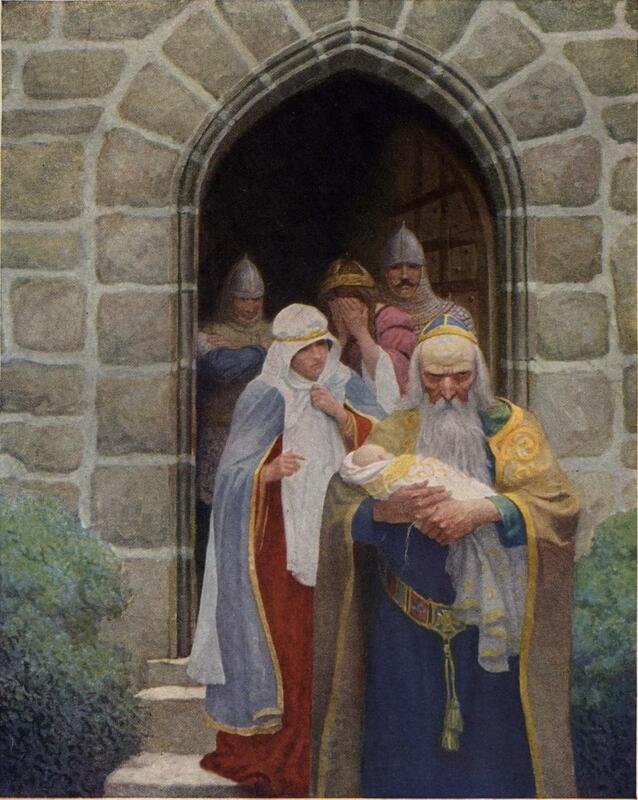 As she said in her account to her mother, "At eleven o'clock I have my hair done. At noon, all the world can enter- I put on my rouge and wash my hands in front of the whole world. Then the gentlemen leave and the ladies remain and I am dressed in front of them.1"
As you can see, Marie Antoinette had a very public life... but only after her hair was properly styled! Marie Antoinette's hairdresser held a very important role as one of the queen's "Ministers of Fashion," and for most of her life, was a Parisian named Léonard. Léonard was the man to have doing your hair. He was so in demand, in fact, that he could only afford to dress Marie Antoinette's hair once a week (on Sundays). On all other days, one of Léonard's assistants, known as "le beau Julian" was responsible for maintaining the royal hairstyle of France's #1 style icon. Léonard was everything one would hope for in a world-class hairdresser. Charming, witty, and a total diva, this coiffeur enjoyed what I like to think of as the coolest possible position within the French court. He did what he loved, had access to the most high-power and famous people in the country, and was obviously quite wealthy, but did not have the burden of being a caged royal. An uneven hairline was not the only complication Léonard and Marie Antoinette's other hairdressers were forced to contend with. In 1776, Marie Antoinette's hair began to fall out and thin. This complication supposedly resulted the stress and depression she felt surrounding her difficult relationship with the King, which involved... not a lot of heir production, which was, of course, her most important job. This may have also been a result of the rigorous use to which her hair was regularly put. Honestly, what do you think is going to happen to hair that is regularly powdered, pomaded, and trussed up with wire, pads, tow, wool, various clips, jewelry, and figurines?? 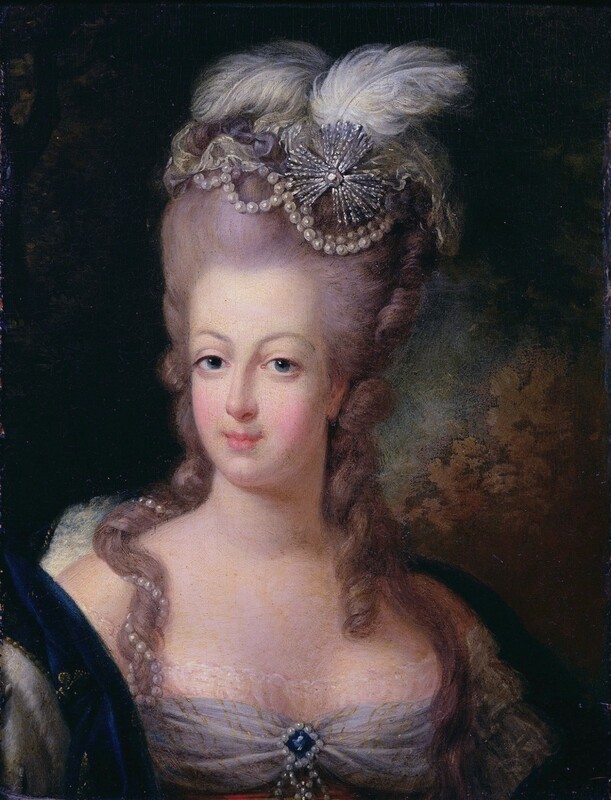 Marie Antoinette's eventual pregnancy also put a toll on her hair. After she gave birth for the first time, Léonard cut her hair short in an effort to give it a clean start. Thankfully, the Queen of France could afford to rely on wigs during the periods of time in which her hair went through these periods of restoration. Unfortunately, Marie Antoinette's hair problems did not disappear, and Léonard had to make some adaptations to her go-to hairstyles to deal with his changing palate. What he ultimately settled on (shortly after the birth of the Dauphin in 1781) was a short, feathery hairstyle that was nicknamed coiffure à l'enfant. Throughout the early 1780s, Marie Antoinette began to savor the simpler things in life. Retreating more frequently to her miniature fantasy farm village at Le Petit Trianon, the Queen took to wearing white muslin dresses and replaced various figurines and precious jewels upon her head with simple straw hats. 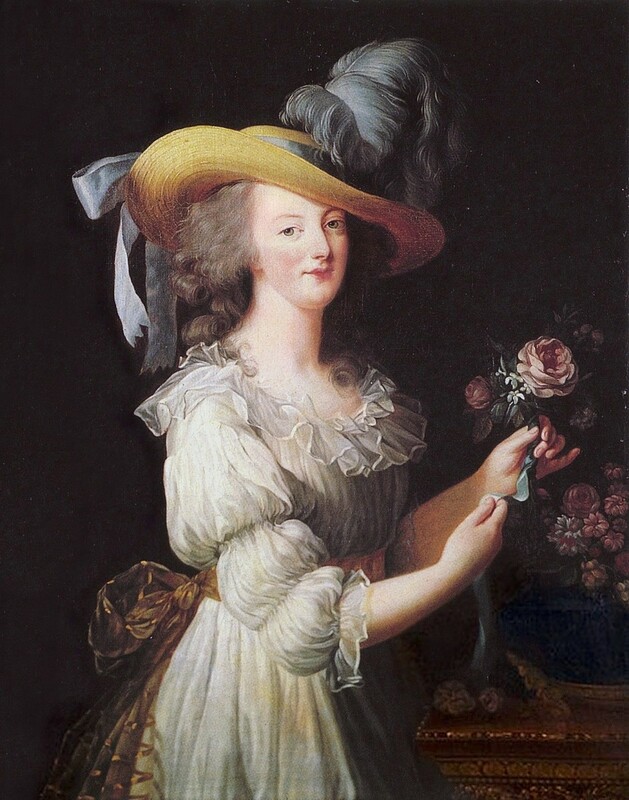 Before the birth of her second daughter, Sophie, Marie Antoinette's hair was cut short again (perhaps, again, due to stress, thinning, and the ravages of vigorous, if somewhat gentler hairstyling). As the Queen embarked on her 30s, some noticed the first (natural) grey hairs began to appear on her head. As the royal family began to suffer significantly from the country's political turmoil, her hair turned progressively whiter, and in letters to close friends, Marie Antoinette ascribed the change in color to the stressful ordeals which she underwent. Even as Marie Antoinette was jailed during the French Revolution, she continued to have her hair styled (albeit in a much simpler manner- with a single white ribbon). In fact, those who dressed the hair of the royal family used their position and proximity to different important prisoners as a discrete means of passing on information. The final person to alter Marie Antoinette's hair was one Charles Henri Sanson, Marie Antoinette's executioner. Using large scissors, he cut off what remained of her thin white hair. This gesture, while common practice with most executions (at least those I have read about in France and England) was pretty standard, but seems particularly cruel when it comes to Marie Antoinette, as her hair was such a symbol of all the fashion and glory that she stood for. Which of Marie Antoinette's major styles is your favorite? The feathered coiffure à l'enfant! Um.... not really a fan of any of it. While those participating in the French Revolution may have robbed Marie Antoinette of her position, her family, her friends, and her life, they have not succeeded in robbing her of an amazing legacy. To this day, Marie Antoinette remains one of history's most famous fashion icons. 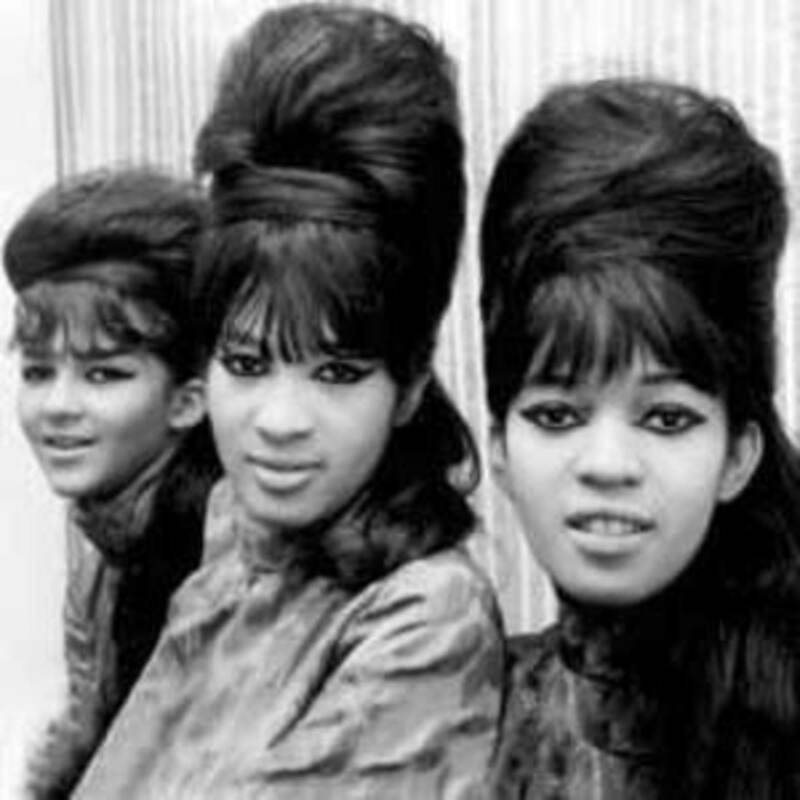 Her influence, her taste for décor and clothing, and of course, her marvelous hairstyles, will never be forgotten. What do you think of Marie Antoinette's hair? Which of her hair styles do you like the most? The earlier, more curl-heavy designs? Léonard's famous pouf? The short, feathered look? Or was it all a bit much for you? Whether you like her style or not, I'm sure you can agree that Marie Antoinette sure made some ripples. If you would like to learn more about her lie and legacy, I recommend picking up Marie Antoinette, The Journey by Antonia Fraser. It's a great read! Thank you for a very informative article about Marie Antoinette's amazing hair. I just watched Norma Shearer's wonderful portrayal of Marie Antoinette in the 1938 movie by the same name. Her hair was definitely center stage. I know, right? 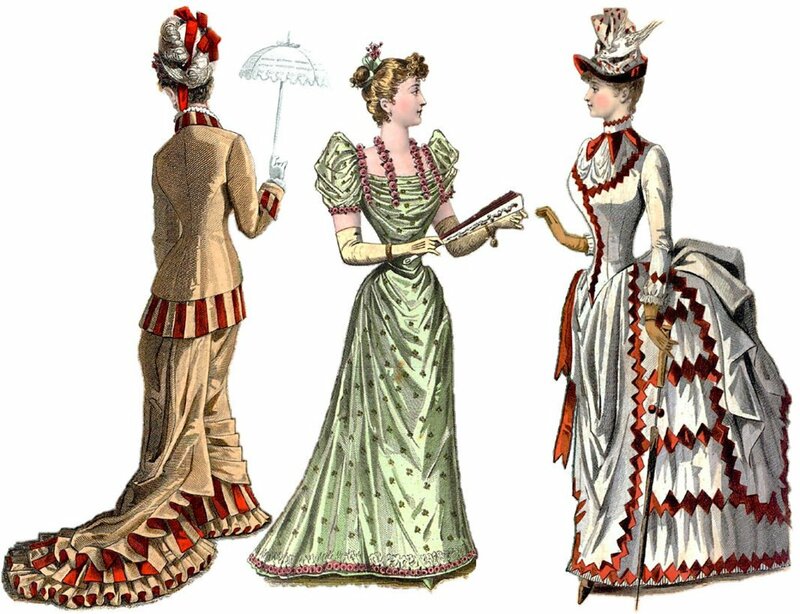 It would be great to see some of these styles make a comeback. Thanks for stopping by! 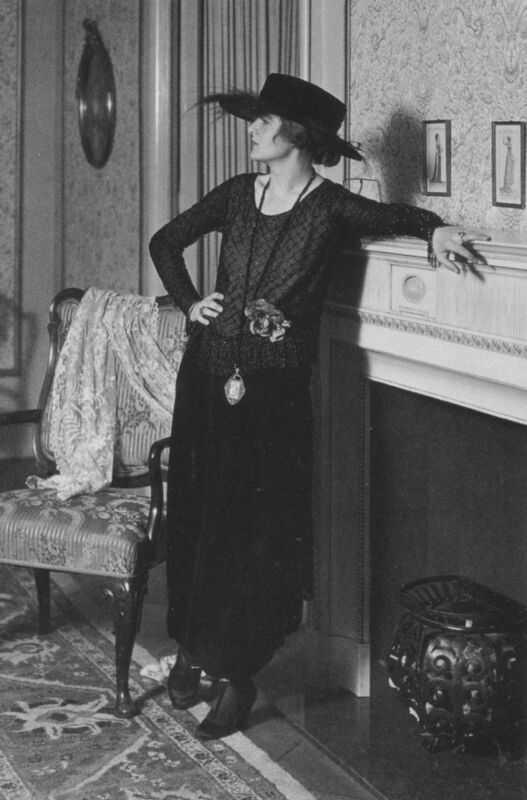 This is an engaging read about one of history's famous fashion icons. I have read the royal diary of Marie Antoinette and watched the film of the same name, starring Kirsten Dunst. I agree with the fact that Marie Antoinette created ripples, esp in fashion, décor and all. Thanks for SHARING. Rated it interesting. Voted up. Thanks for stopping by, iguidenetwork! Lovely historic information!!! thanks for posting it. What irony that this carefully-coiffed head of hair would end up lopped off by a guillotine! Ah, well, as much as she was blind to the starvation and poverty of her fellow French citizens, at least she'll be inspiring Lady Gaga for years to come. Thanks so much for stopping by, pajamazzon, leegis, and rambansal! Heck, stugod, if they let her go up to Madame Guillotine with a full out pouf on her head, she could have hidden several swords in there and made a daring escape! Oh, I've been DYING to read that book, Les Trois Chenes! I love the movie. I've been fascinating by the Duchess of Devonshire ever since I saw the movie- and realized that she and Marie Antoinette were actually good friends. This is a great idea. I've finished reading the book Georgiana, Duchess of Devonshire who lived around the same time and had the same hair styles. There's also a nice film-of-the-book, same title, where you can gorge yourself on eighteenth century fashion. My favourite photo is of her at the piano. But I think that has more to do with my love of music than her hair. I do like the hairstyle better than some of the others, though. The Royal Habit hairstyle is freaky. Very nice narration and pics of the beautiful lady. Nice addition to my knowledge of the historic people. Thank you! Love this hub! Thumbs up!